Silk Road, beginning in the Han Dynasty (207 BC-220 AD), covers more than 70 countries and 4.4 billion people (63% of the world). For centuries, Silk Road has been playing an essential role in connecting the East and the West, and the exchanges of the trades, science technology and civilization. However, due to the active underlying geological structures, rapid tectonic uplift, and climate changes, natural hazards (e.g., earthquakes, floods, geo-hazards, typhoons, tsunamis etc.) occur frequently and put threats on both social development and livelihoods along the Silk Road. Furthermore, numerous challenges related to disaster risk reduction in this area exist, including a lack of background information and data share mechanism, a scientific risk assessment method, and mitigation countermeasures etc. Encountered by this serious situation, and integrated with Sendai Framework for Disaster Risk Reduction and the Sustainable Development Goals 2030, it is urgent need to promote the international cooperation in disaster risk reduction and sustainable development along the Silk Roads. Resilience against natural hazards should be improved and an international platform for joint researches and information share that are correlated to disaster risk reduction and sustainable development is needed. Therefore, an international research program for the disaster risk reduction along the Silk Roads is implemented as SiDRR (Silk-roads Disaster Risk Reduction) by Chinese Academy of Sciences.The implementation of this program would enhance the disaster prevention and control ability and guarantee the livelihood security of the countries. 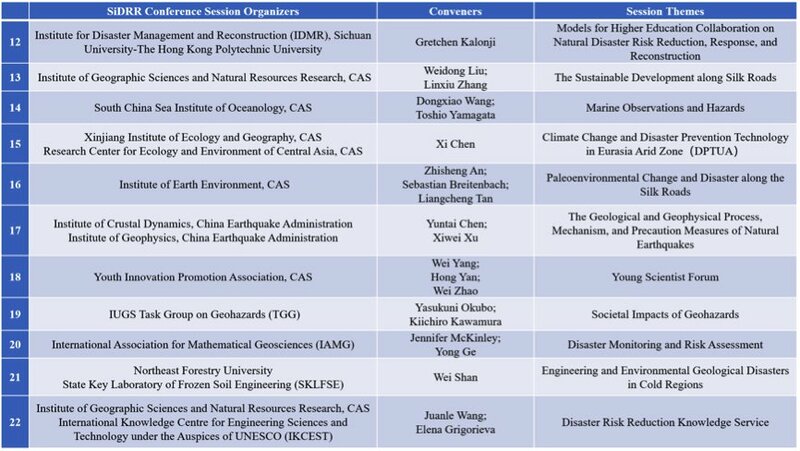 Based on this understanding, Chinese Academy of Sciences (CAS), China Association for Science and Technology and United Nations Environment Programme (UNEP) will jointly host the International Conference on Silk-roads Disaster Risk Reduction and Sustainable Development in Beijing, on May 11-12, 2019. Attached please find more details for the conference. Right now, we are further promoting the calls for potential speakers, abstracts, sponsors and attendees. We would highly appreciate if your promotion channels would be able to help promote the Conference. 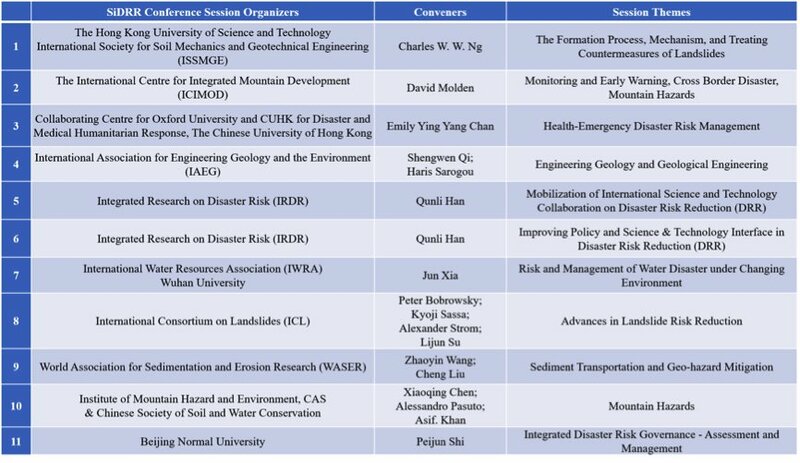 Below are part of the tentative invited speakers (https://mp.weixin.qq.com/s/e18XyMY9hdttp8mswu80RQ) and 8 tentative collaboration journals for special issues (https://mp.weixin.qq.com/s/lOmUc2tI-iDDm8FWel8dYw).